You are hereby summoned to our enigmatic temple to enter Zombo’s domain, this October 12th / 13th, and 19th / 20th. Mark your calendars, and prepare your vestments, my delicious initiates. This year, secrets abound at Theatre Bizarre. The moniker of "The Greatest Masquerade on Earth" can not be argued. 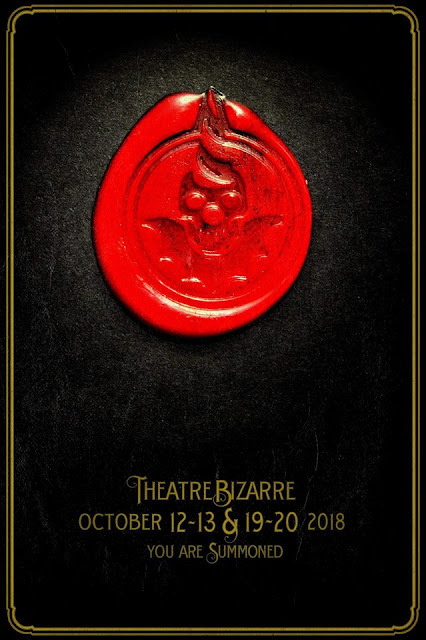 Theatre Bizarre is part masquerade, part costume party, part burlesque, part carnival and circus sideshow, 100% bizarre, and 100% amazing people-watching and crowd interaction. If you attend this event, I promise you that it's something you'll never forget in all the rest of your days.